12mm in size, the EH Series is a heavy-duty panel mount switch, splash and vandal resistant. 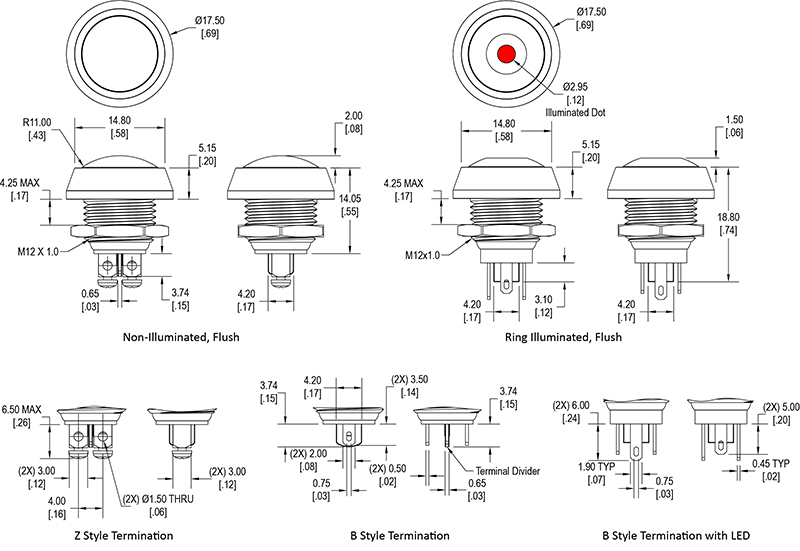 Momentary in function, the EH Series push button switch is available with screw terminal or solder lug termination. Round body style is available in a choice of brushed stainless steel or black anodized aluminum finish. 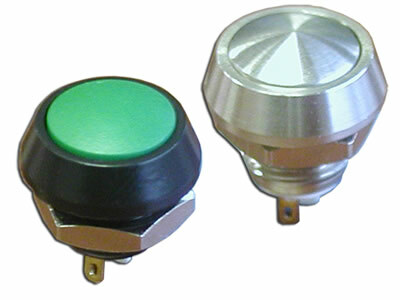 Cap color options include stainless steel, black, red, yellow, green or blue. This panel mount switch features LED options in red, yellow, green, blue, white and orange, with many combinations for bi-color illumination.